Everyone has heard the old tip shop the outside perimeter of the supermarket first. This is where all the fresh food is kept. Where we really get in trouble in the market is in the middle. The middle holds all the processed foods like cookies, crackers, mayonnaise, candy, and ice cream. We’ve also heard about eating foods like celery and salsa that actually burn more calories than they leave behind and help you feel full. A great book to get is super model Carol Alts book “Eating In The Raw.”. Now you don’t have to become a vegan or give up that juicy Friday night steak but Carol’s book brings up some great points that we learned when we were children. “You are what you eat”. When we cook food we kill vitamins, enzymes and live cultures. When you eat fresh your body is able to get more of the nutrients it needs to be very healthy and thin. Watermelon is a food like celery full of water and it helps to fill you up. Watermelon also contains vitamins A and C and many other anti-oxidants. Drink green tea to feel full between meals. The phytonutrient called EGCG (epigallocatechin gallate) in green tea increases the hormone responsible for making you feel satiated. Drinking green tea daily has long-term benefits as well. It can help prevent storage of excess fat, improve your appetite-regulating hormones and change how your body handles cravings and metabolizes food. Vinegar will slow the absorption of carbohydrates and prevents sudden surges in your blood sugar. It also slows the passage of food through your stomach, keeping you fuller for longer. Capsaicin, the compound that gives these spicy peppers. This compound is also thought to curb your appetite while you eat. Not only that, it raises your body temperature, which may boost your metabolism. Raspberry ketone is the primary aroma compound of red raspberries. This compound regulates adiponectin, a protein used by the body to regulate metabolism. 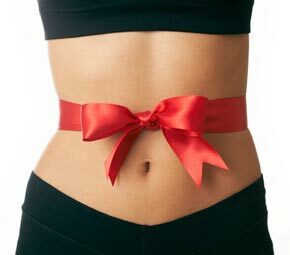 Raspberry ketone causes the fat within your cells to get broken up more effectively, helping your body burn fat faster. The recommended dose is 100mg per day. To get the same benefit from the whole fruit, you’d have to consume 90 pounds of raspberries. Trim your tummy by packing your grocery cart with monounsaturated fats. Avocados should be used in your diet as a garnish. On a sandwich, salad, or as a topper. Sitting down to a giant bowl of guacamole at your favorite Mexican restaurant can add as much as 750 calories to your diet before your entre even arrives. So the message is that avocados are great for your body but in moderation. Apples are the perfect pre-dinner snack. Soluble fiber in apples, called pectin, reduces the amount of sugar and calories that’s absorbed into the bloodstream after a meal. That’s good news for folks who want to prevent type 2 diabetes, but it also makes apples one of the best snacks for dieters. Apple pectin prevents spikes in blood sugar that lead to increased fat storage. It will help you avoid the blood sugar “crash” that leaves you craving more food and can keep you satiated for up to two hours. These mini-Portobello mushrooms have a delicious meaty flavor. Blending crimini mushrooms with ground turkey is a great way to cut half the fat without losing taste. The high-fiber mushroom mixture works well for any meat-based dish, like tacos, meat sauce, hamburgers and more. A small 4oz handful of pine nuts every day can help suppress hunger. Pine nuts contain pinolenic acid, a naturally occurring fat that stimulates cholecystokinin (CCK) and glucagon-like peptide (GLP-1), both powerful hormones that alert the brain that the stomach is full. In one study, women who consumed pinolenic acid reported a decreased appetite. These small nuts also contain the highest protein content of any nut. Beans are loaded with soluble fiber, which promotes good bacteria in the gut, thus lowering inflammation linked to belly fat. Ignite your body’s fat-blasting furnace with beans. They’ll keep you full, and are high in resistant starch, meaning that half the calories consumed cannot be absorbed. They also reduce blood sugar, and create the fatty acid butyrate, which may burn fat faster. Eating small portions of good food every three hours to prevent blood sugar spikes and keep your hunger at bay is the key to success in any good diet. Try the super foods to help you regulate your blood sugar and boost your metabolism.